When we were moving to France in 1981, my parents and sister left some time before me. 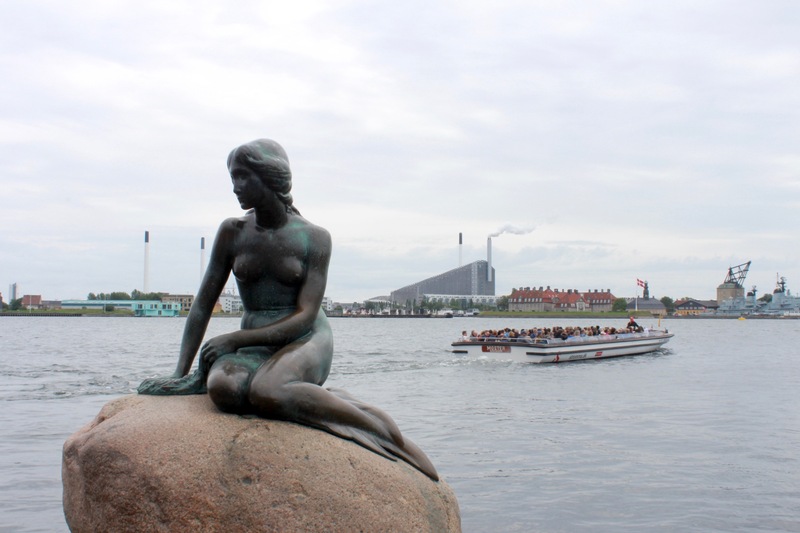 I stayed with my grand parents, in their flat, just a small walk away from Langelinie, the pier/promenade where tourists from all over the world come to see the most famous Danish girl: the Little Mermaid. It has been a very popular destination for a Sunday/holiday stroll for Copenhageners (is that what they are called: people from Copenhagen!) 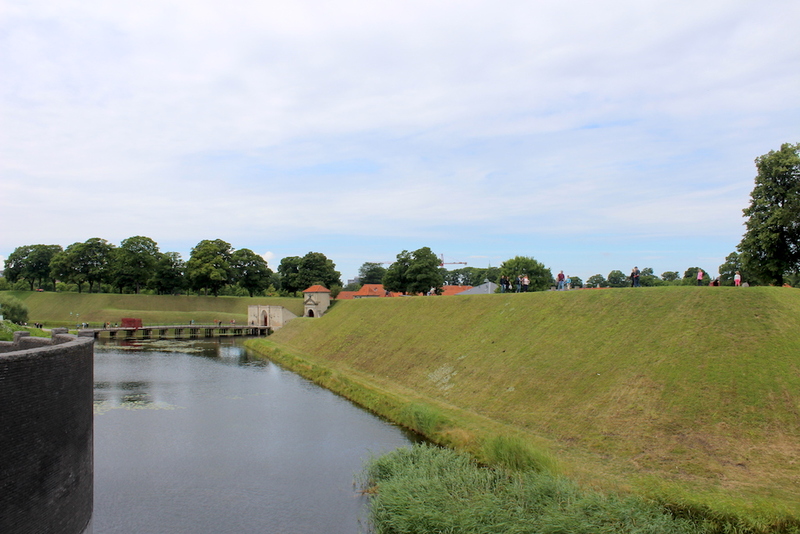 for a long long time: It is also home to the harbour where the cruise ships leave for Sweden or Norway, to Kastellet, and to many other interesting things… Walking from the closest train station Østerport down to the mermaid was like a trip back in time for me. I hadn’t walked there for 30 years probably – the last times I was there I always came lazily by car… but it is actually a very nice walk! And you are rewarded by this little wonder made out of bronze. As you can see even the small ones thought she is amazing! There is approximately 4km so with a few stops for some pictures it will take a little over an hour – more if you visit everything on the way. We took more but we had three children, a stroller and stopped at the playground for a play and some snacks. 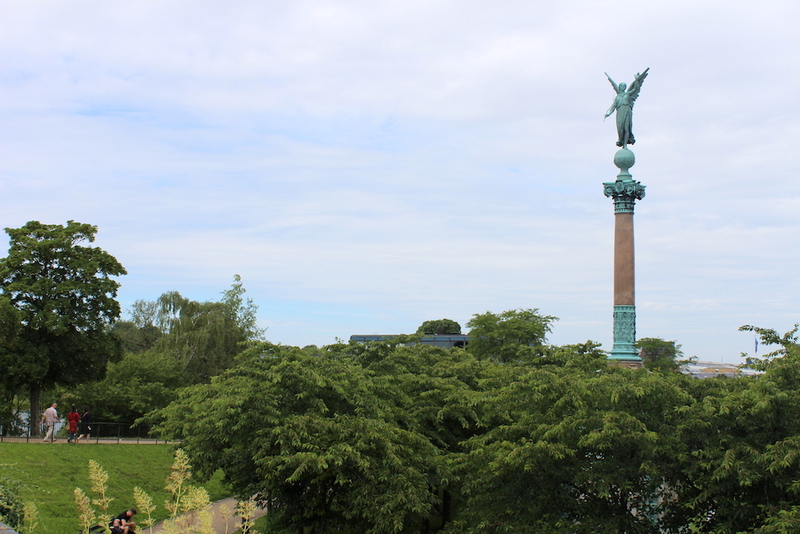 If there is a name of a king that comes back very often when you talk about buildings in Copenhagen, it is definitely the one of King Christian IV. 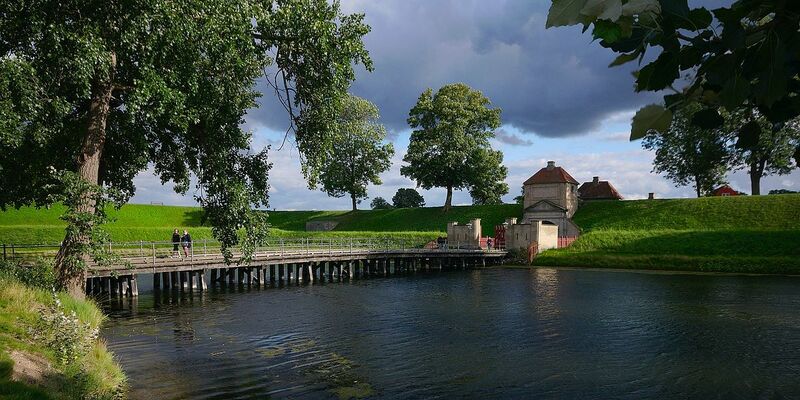 It seems he took great pleasure in building things – and even though he never saw Kastellet built, he was the original planner of greater fortifications for the city but it was his son Frederik III who carried out the plans. The castle was built in the second part of the 17th century. If you look closer to the map above you can see a star shaped area, that’s the place. You can walk through the area, have a look at the old houses and the lovely and very simple church, Kastelskirken, (where my parents got married 54 years ago) in the centre. 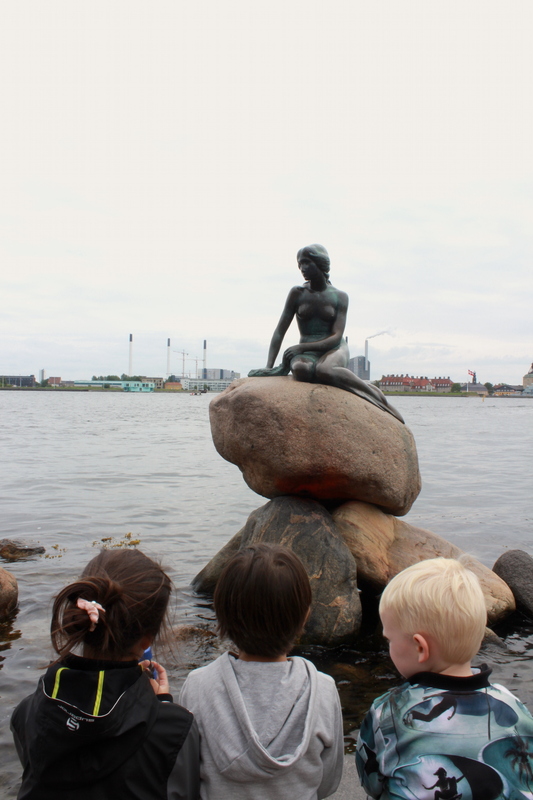 Once you pass Kastellet you arrive quickly to the Little Mermaid. I have already written about her in another post (you can read here, why she was painted all red a couple of months ago and other things that have happened to her over the years). But she is iconic, and I can not do a series on Copenhagen without showing her off! 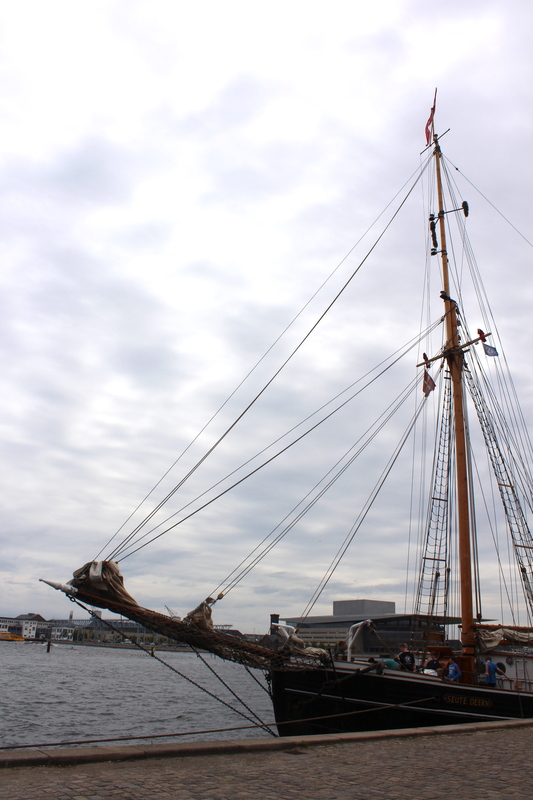 All the canal tours come all the way out in the harbour, but you don’t get to see her very well in my opinion. Then you can start your walk in towards the city. 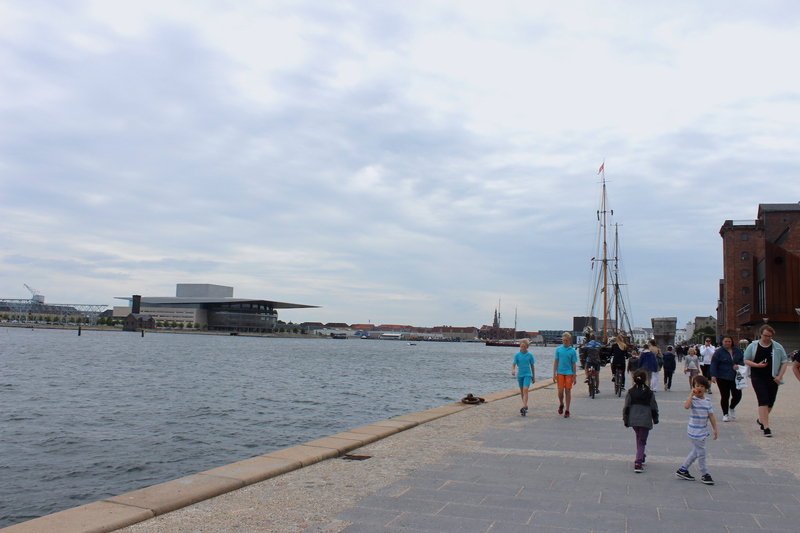 You stroll along the waterfront, see where the Queen’s boat, Kongeskibbet Dannebrog, moors when in town (it wasn’t obviously, or you would have had a picture). You pass by Langelinie Park, where you see the Ivar Huitfeldt Column, in remembrance of the admiral himself and his whole crew who died during the naval battle off Stevns during the Great Northern War in 1710. 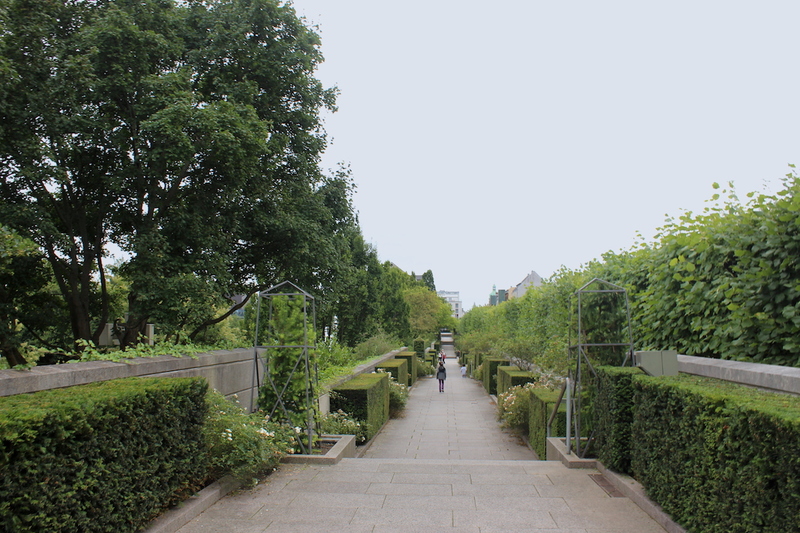 Another little park with a Statue of Princesse Marie, wife to the second prince, Prince Joachim. By then we have walked our way around Kastellet and can see the other entrance, King’s Gate: the only one cars can use to enter. 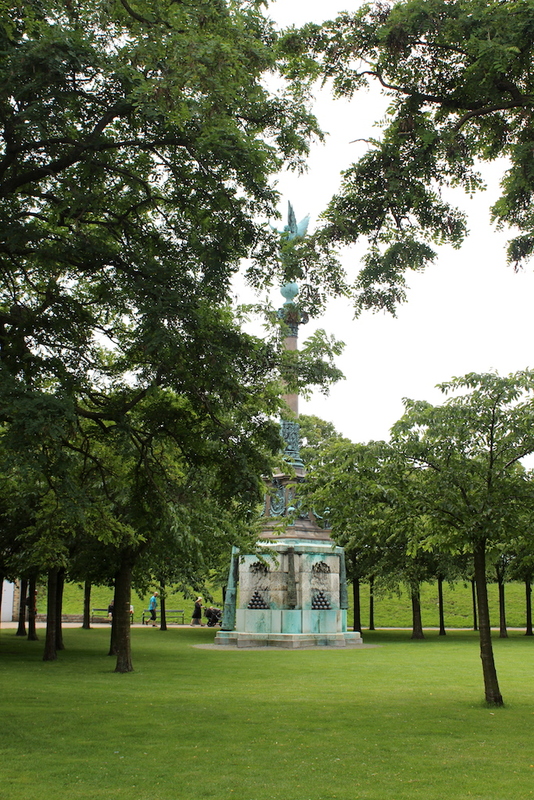 Gefion Fountain is a large fountain, located in Langelinie park, just before the entrance to Kastellet. 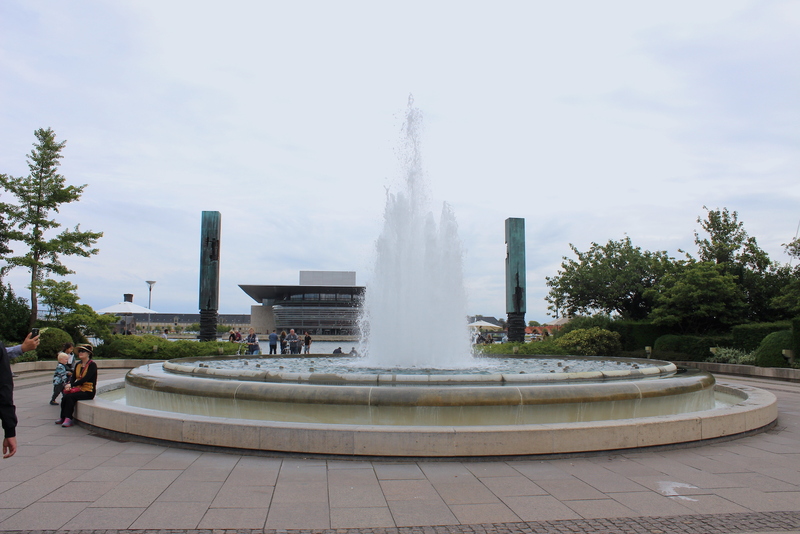 It features a large-scale group of animal figures being driven by the legendary Norse goddess, Gefjun – it is our local ‘Trevi fountain’, in the way that it is also used as a wishing well. 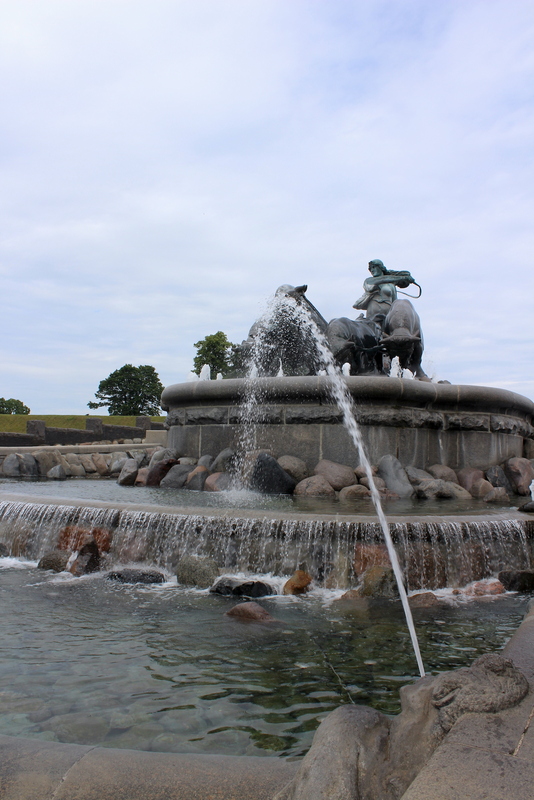 Norse goddess means legend of course, and here is the story the fountain tells: Gefjun, or Gefion, is the goddess who ploughed Zealand (the island on which is Copenhagen) out of Sweden. She was offered as much land as she wanted by the Swedish King Gylfe, but she had to plough it out in one day and one night only. She proceeded to transform her 4 sons into extremely strong oxen and then had them to plough so deep that the sea rose around the land: the island of Zealand was created… The lake Vännern in Sweden has mostly the same shape as Zealand, so maybe there is some truth to the story. 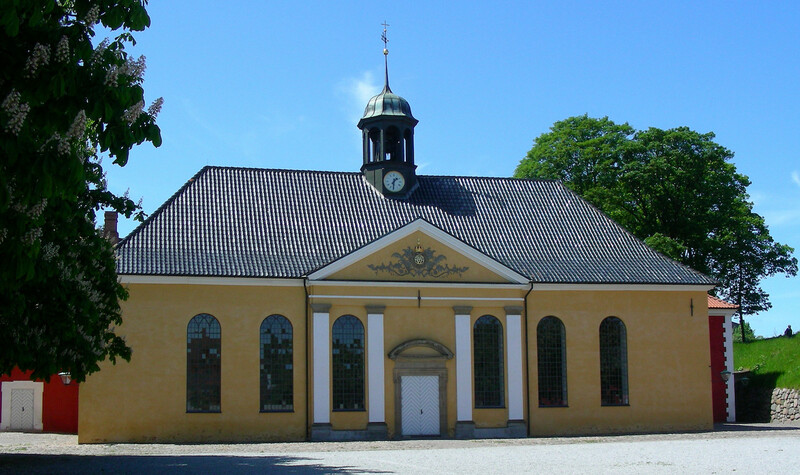 St Alban’s Church is the only Anglican (episcopal) church in Denmark. 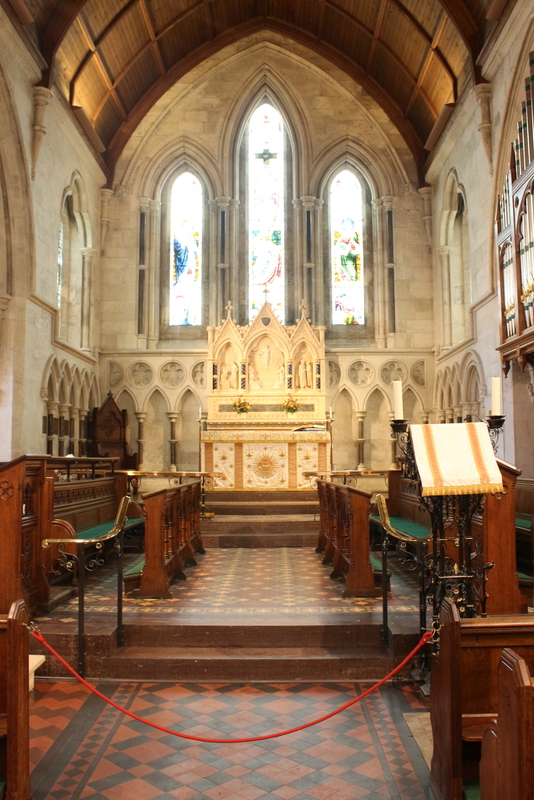 It was built in a couple of years and consecrated in 1887. 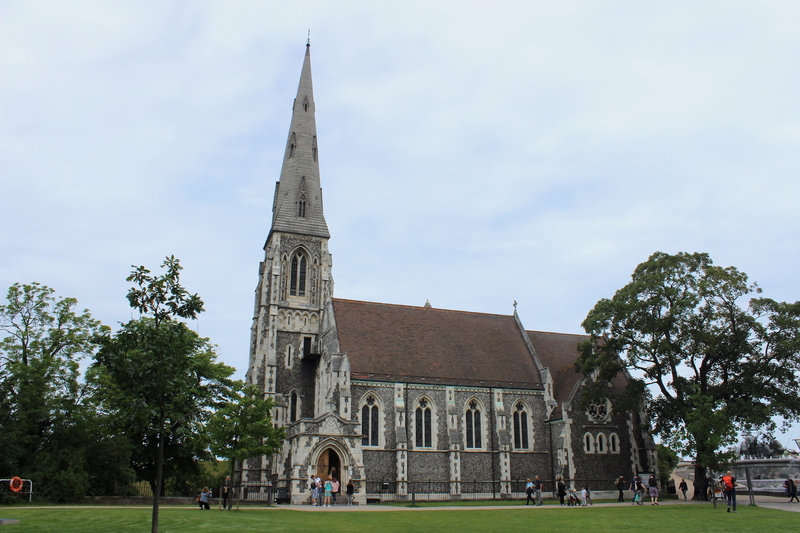 The church is a great example of Victorian Gothic architecture, the architect was Danish however and most materials also come from Denmark. 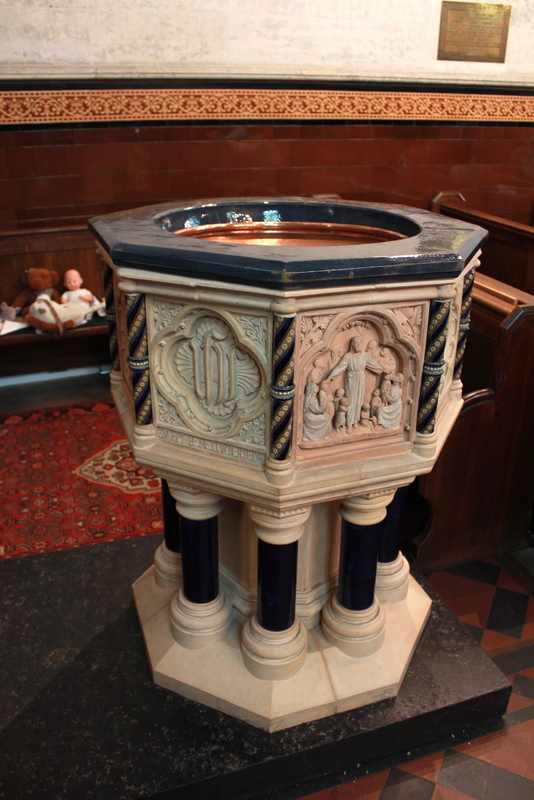 Very little has changed, inside the church, since the consecration – but central heating was installed in the 30’s. 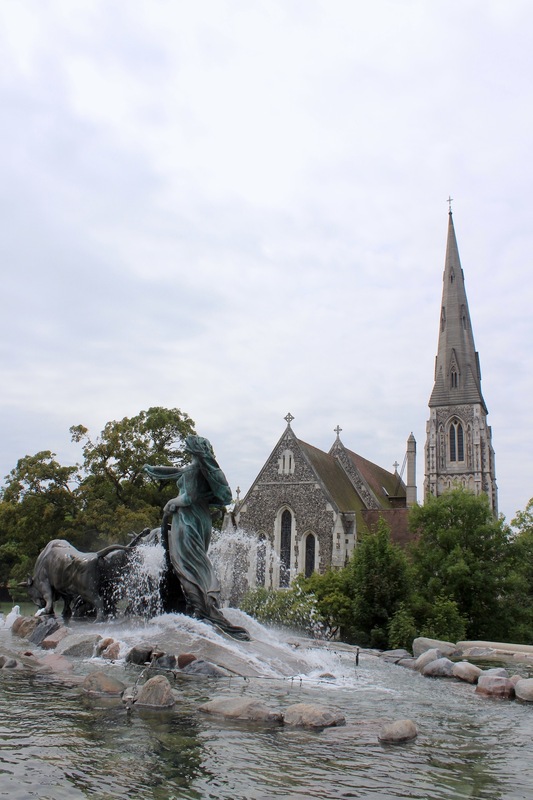 The church is named after St Alban, the first martyr of England and according to legend his relics can be found in another church in Odense, the church of St Mary and St Alban. 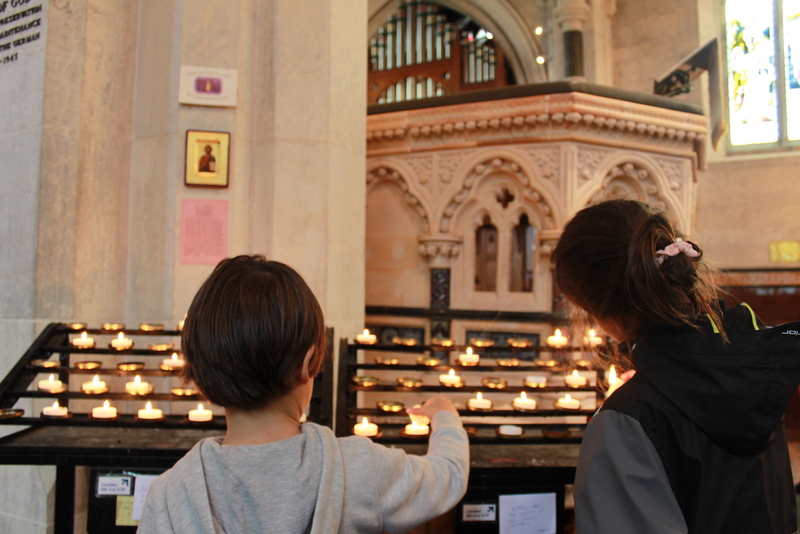 You can read more about the church, on St Alban’s website, here. and for mass during the rest of the year of course. 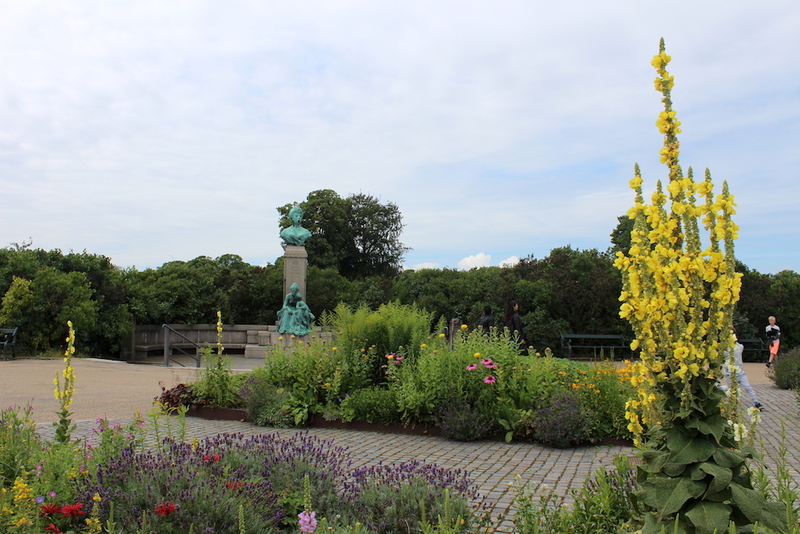 We continued our walk along the waterfront, through Amalie’s garden to Amelienborg, where Her Majesty the Queen keeps her permanent residence. This area is very ‘Danish’ and actually another nice stroll. 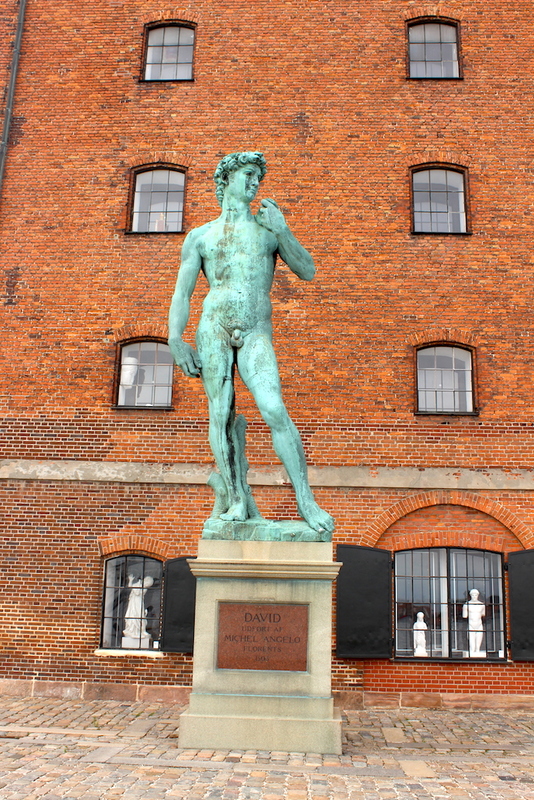 Most of the buildings are listed in this area of Copenhagen, there is also a David, by Michel Angelo enjoying the view over the waterfront. 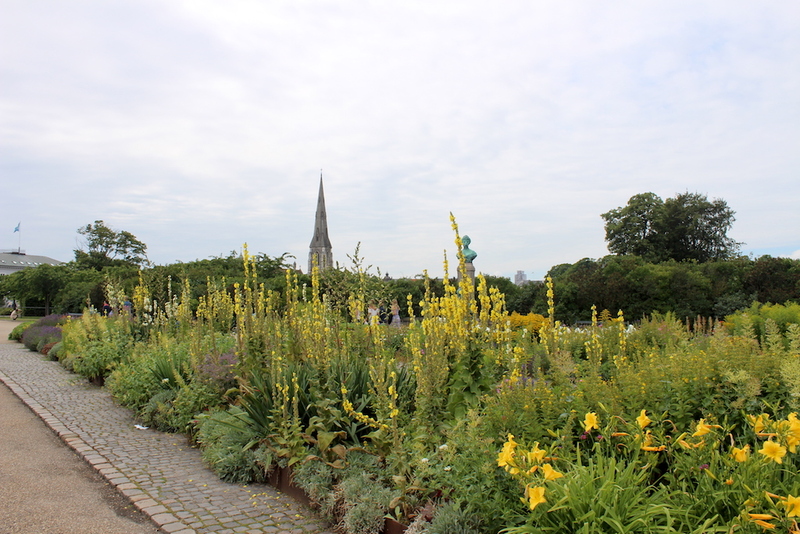 The Amalie gardens are from 1983, a lovely little park between the waterfront and Amalienborg. 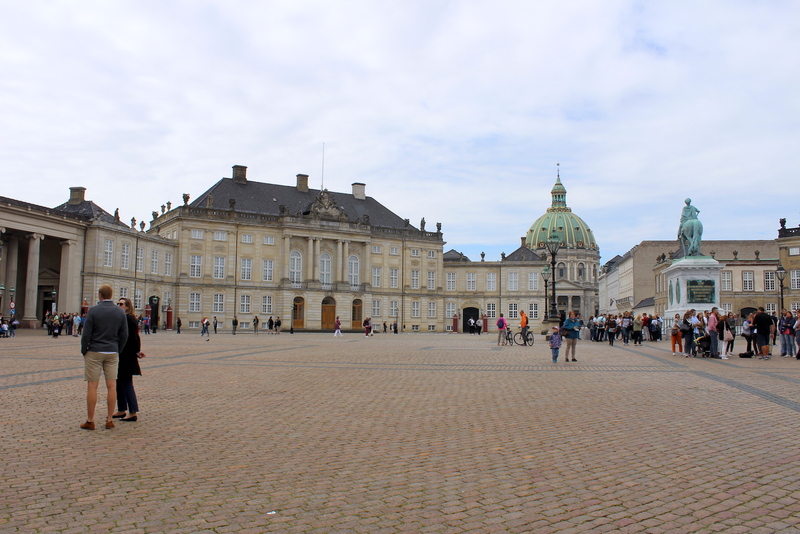 Amalienborg, winter and official residence of the Royal Family is made out of 4 identical palaces. It became residence when Christiansborg Castle burned down in February 1794. 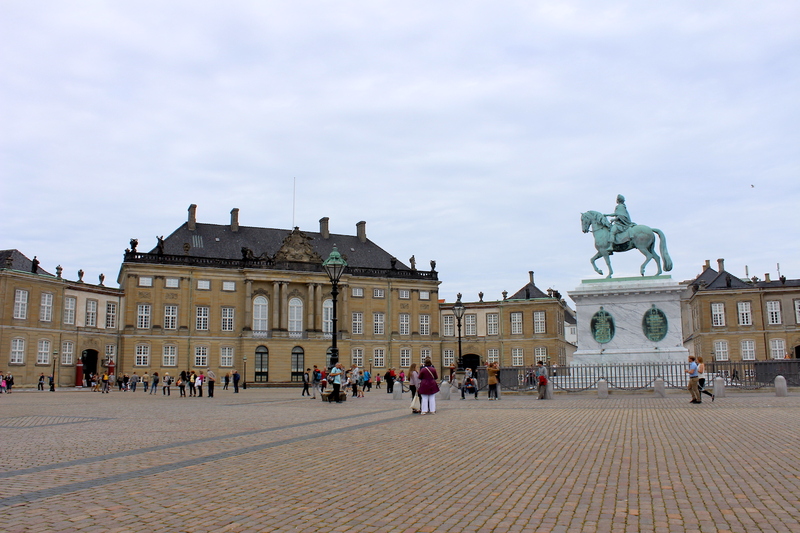 It is possible to visit Amalienborg, where you can discover how Kings and Queens have lived and also see their private rooms. In the museum you can explore the monarchy’s history during the last 150 years. Most days you have access to the Gala Room and other official rooms, still in use today. 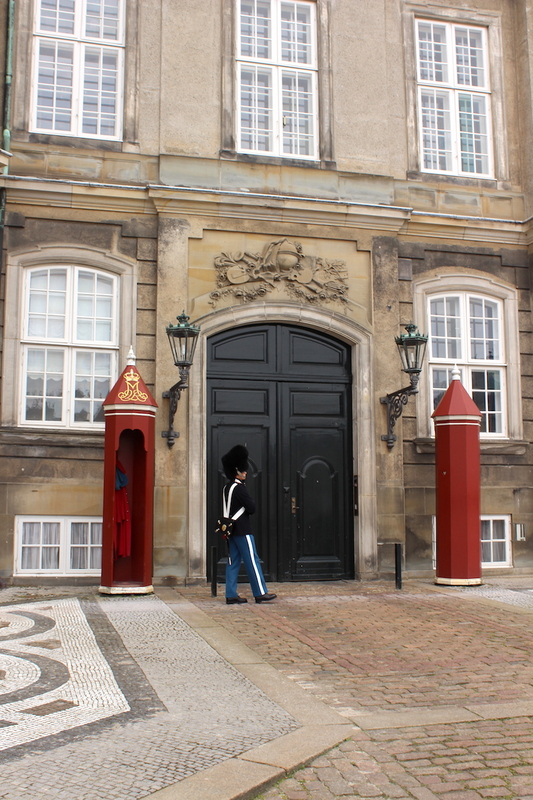 For Opening hours: please check the Royal Danish Collection website, as they varie a lot depending on the season. Price is: DKK95 for adults, free for children under 17. The Changing of the Guard happens every day at 12pm. Depending on who is in residence, the ceremony is different. There are 3 different types of ‘watch’: a King’s watch, a Lieutenant’s watch or a Palace watch. 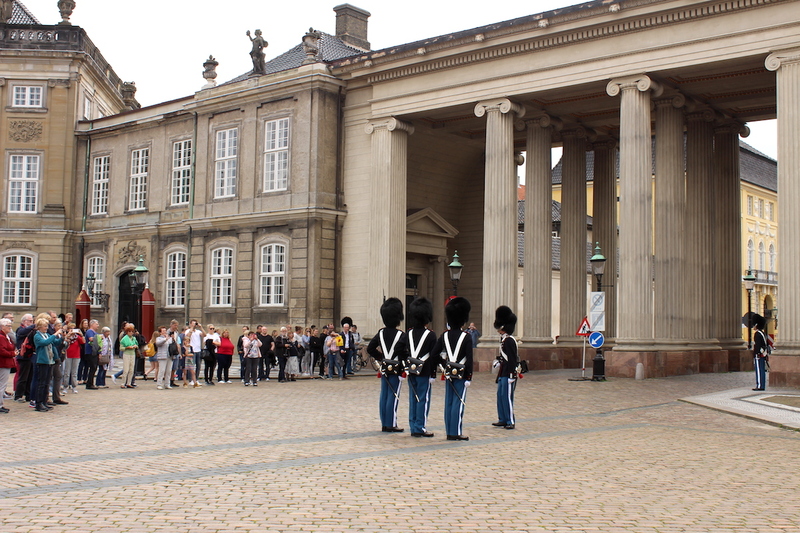 The King’s watch happens when Queen Margareth 2 is ‘home’, the guards are accompanied by the Royal Guards music band. This happens only from September to April. You can read more about it on the Castle’s official website, here. 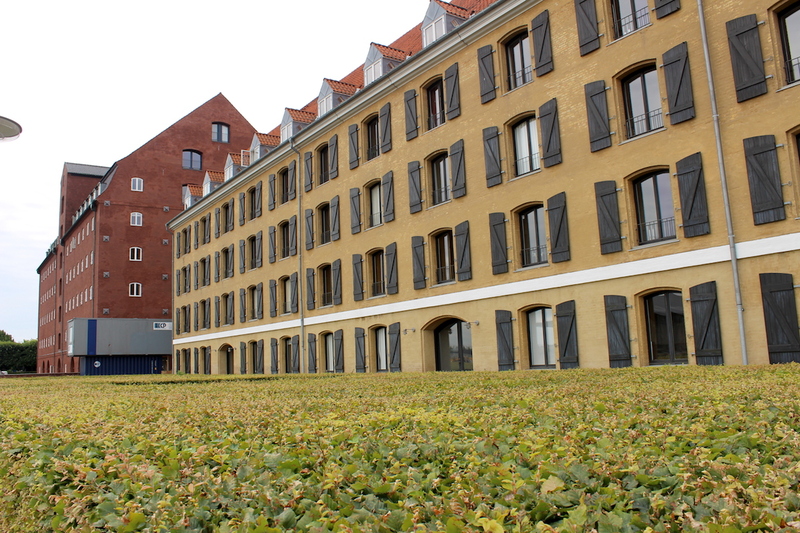 When you are on the courtyard with the waterfront behind you – the palace to your immediate left is the Queen’s residence. The Crown Prince Frederik and his family live to your right. How to know if they are there? The Danish flag is risen on top of the Palace. Each palace has it’s own flagpole. 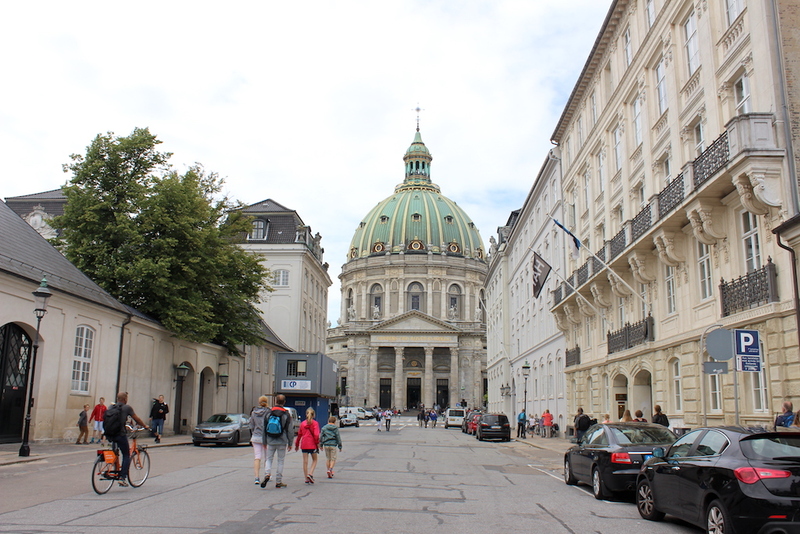 Visible from the castle’s courtyard, one of the most beautiful churches in Copenhagen, Frederik’s Church, or the Marble Church as it is commonly referred to, is really worth a visit. It is also possible to climb the dome and get a beautiful view of the city, but only in the summer and only at 1pm. 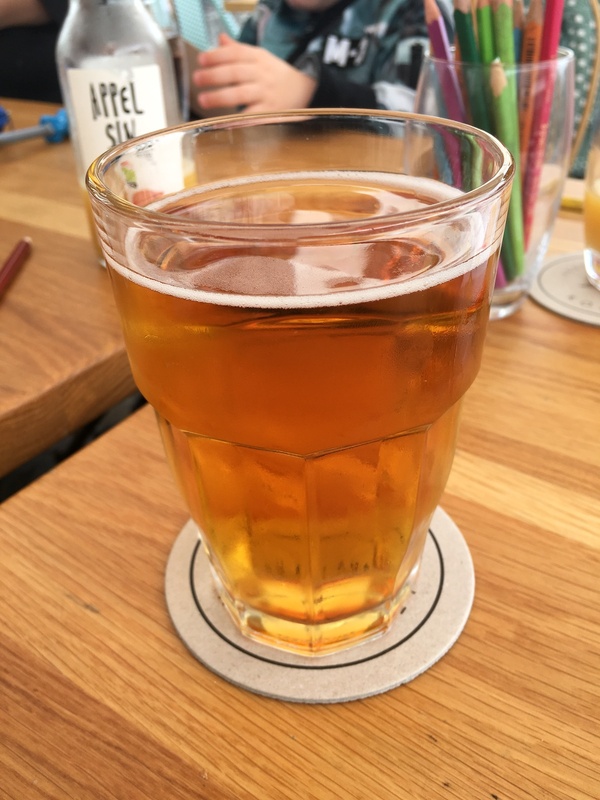 The price is 35DKK (€5/adult – €3/child). The visit of the church is free. 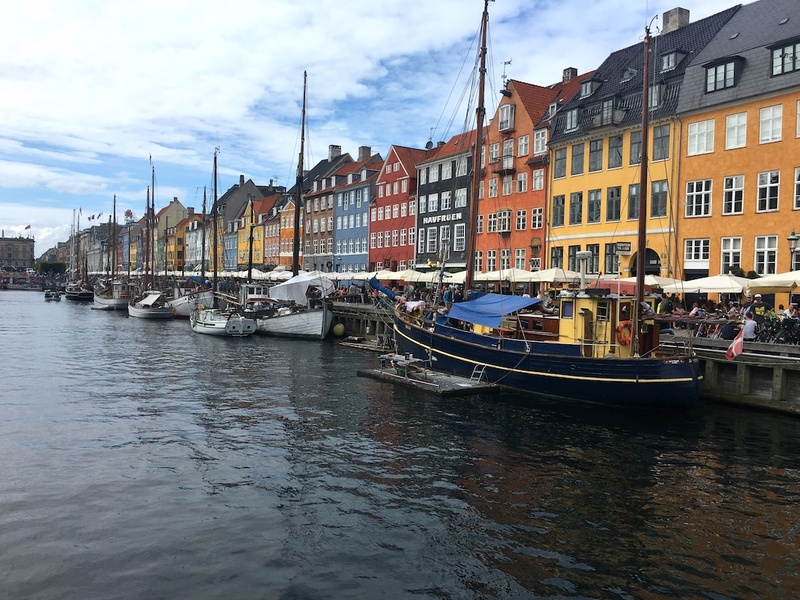 We walked down Skt Annæ plads and past Skuespilhuset (Royal Danish Playhouse) and reached Nyhavn, a place probably as famous and as iconic as the little Mermaid, because of the colourful houses, many cafes and restaurants. 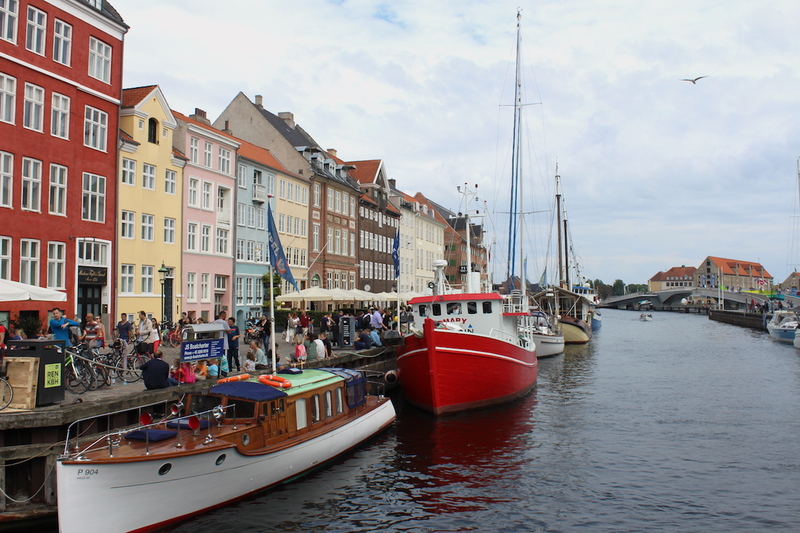 It is one of the most busy places in Copenhagen, with tourists and locals alike – specially when the sun in shining. Danish lunch all around and great beer as well! oh and big ice creams, some of the best (stop at Vafferlbageren for a great danish ice cream). 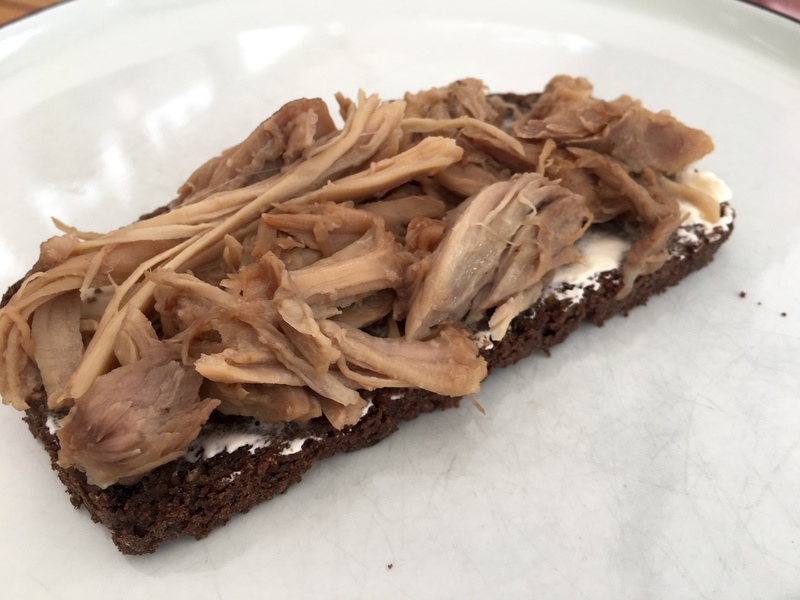 We had lunch at Kompasset: Traditional smørrebrød with a twist. 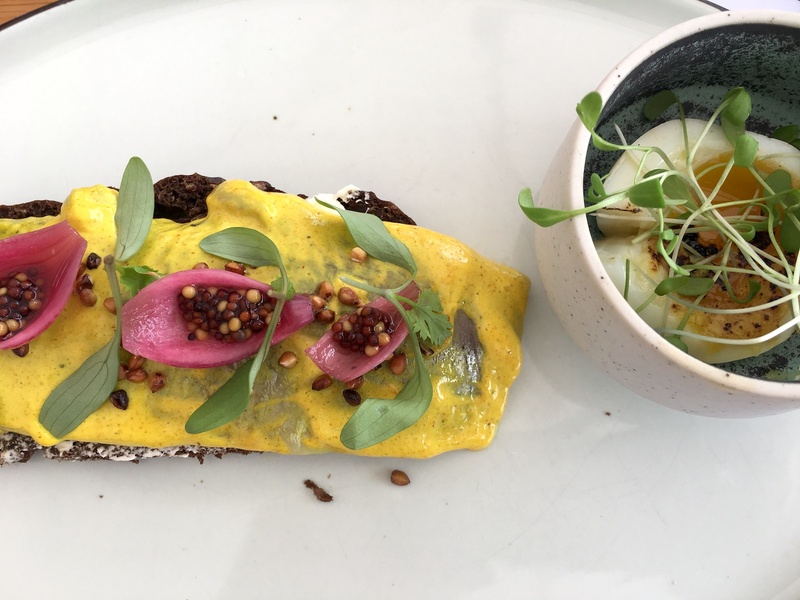 I had the curry pickled herring and it was really good. 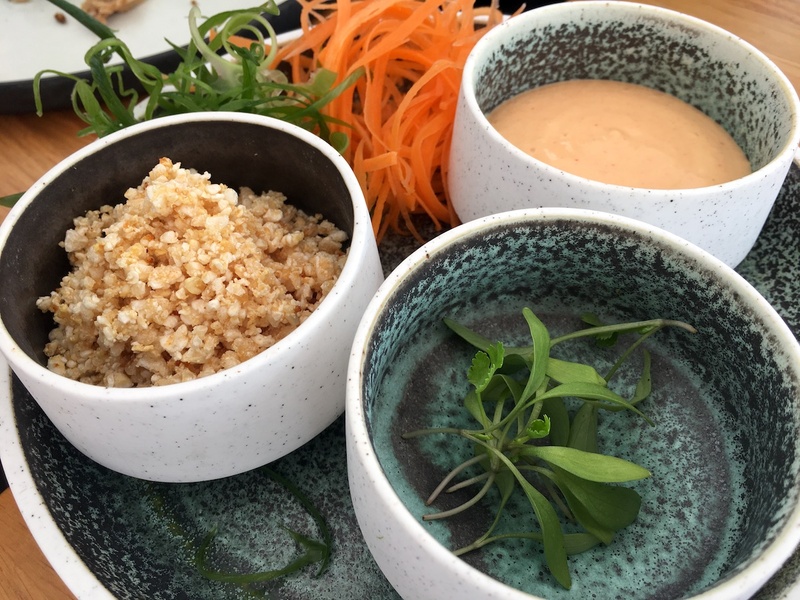 It was also a very kids friendly restaurant, not because that had a kids meal but as everything was made on order they would just accustom to our requests: the kids had a pulled pork sandwich – all the ‘healthy stuff on the side’ and chips (the real ones, made on real potatoes!). 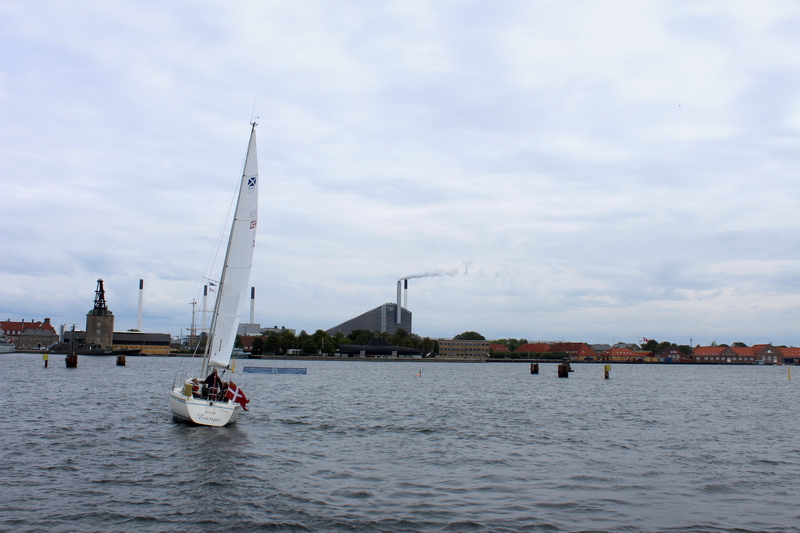 We had a splendid morning walking in this lovely area of Copenhagen and I really recommend it. You can do it one way or the other. – S-tog or Regional train to Østerport and exit at the rear of the station (not main entrance). It looks like an excellent walk. Little Mermaid is just iconic. 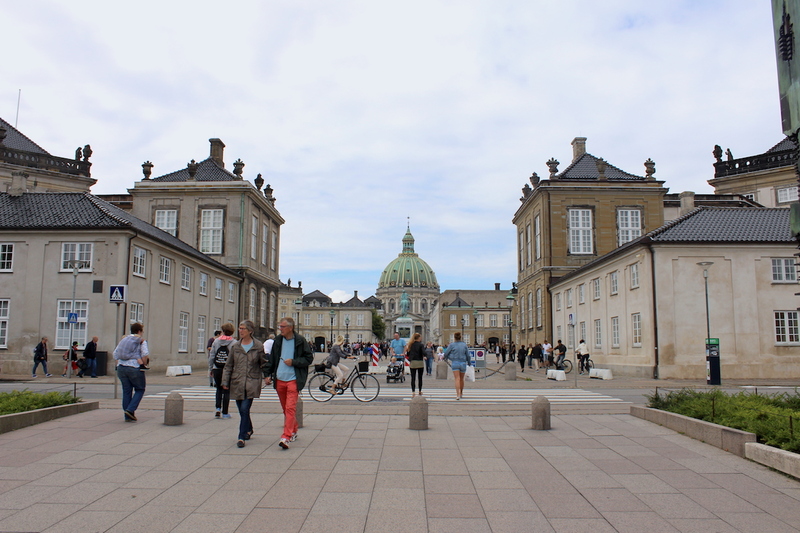 Amalienborg is very appealing to me. It would be great to do this walk some day. Thanks for sharing. 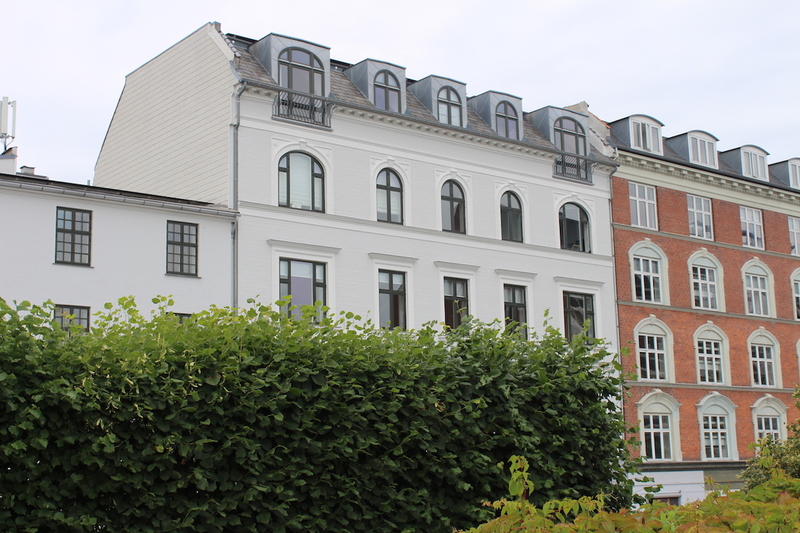 I like the feeling of Amelienborg – it’s not too pompous but yet very beautiful. I have read several stories about the mermaid and they made interesting reading. Just what does Denmark mean?